With the fall in prices of Bonds and Stocks, it is obvious that the price of the Gold market is lore likely to increase. Even at the time of financial crises, global trade related issues and inflation for most investors, investing in Gold is one of the best options available. So even if the market is not faring well still Gold can always offer you with best returns for your investment. 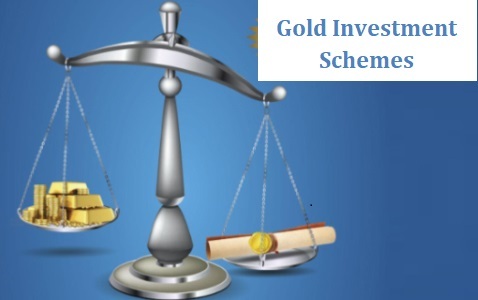 Opting for Government backed up schemes and methods is one of the best ways to make investment in Gold. So if you are looking forward to make investment in Gold then you can get details related to best Government schemes. GMS was officially introduced in 2015-16 fiscal year by the Central government. This scheme was officially introduced under which people could make their investment in Gold coins, Jewelry ornament and Gold bars. The government will also offer interest to the investors as per the current gold rates. The moment you have to invest your money in GMS, you will have to complete the KYC procedure. To get started with investing your money under this scheme you may have to purchase minimum of 30 grams of gold. Under the scheme the government also offers with three variants of term deposit plans -1 to 3 years term deposit under the short term plan, 5 to 7 years term deposit under the medium term plan and 12 to 15 years term deposit under the long term plan. This is the first of its kind scheme in which investors can invest in purchasing National Gold Coin. The coin is trade marked with national emblem of Ashoka Chakra while the second side of the coin is marked by Mahatma Gandhi’s Image. Investors can invest in coins of different denominations like 5, 10 or 20 grams. MMTC is the authority that is responsible for fixing the values of the coins. The BIS (Bureau of Indian Standards) is responsible for offering each of the Gold coin with its certification of authentication. IGC can also be purchased by investors via certified MMTC units and bank branch. One main benefit here is that the MMTC offers investors with a buy back option for the coins at various Gold showrooms within the country. The MMTC will offer with current gold value in case the coin packing is intact. Investors will also have to submit a copy of the Original invoice. This is a form of security offered by the government for investors looking around to invest in Gold. In this type of security the government offers with a substitute for physical gold. The moment you make the payment, the authorities will issue you with a valid legal bond for the present gold rate in the market. Under this scheme one main benefit is that you don’t have to worry about holding the Gold in its physical form as bonds are issued against the pays made. The bonds are legally issued by the RBI (Reserve Bank of India) to the investors. You can also make use of these bonds for trading at the stock market. The investors have to trade within fort night after collecting the bonds. The RBI will also offer investors with interest as per the current investment value. It is important for investors to maintain bonds till a time period of 8 years for maturity. In case of emergency the investors can get it cashed only after completing minimum of 5 years. All interested will be paid as per calculated rates.